At Elmwood Self Storage & Wine Cellar, we understand the importance of keeping your valuable collections safe, whether you live in New Orleans, Metairie, or Harahan. In our private bank vault, you can be assured that we have taken every precaution to make you feel comfortable with leaving your valuables with us. 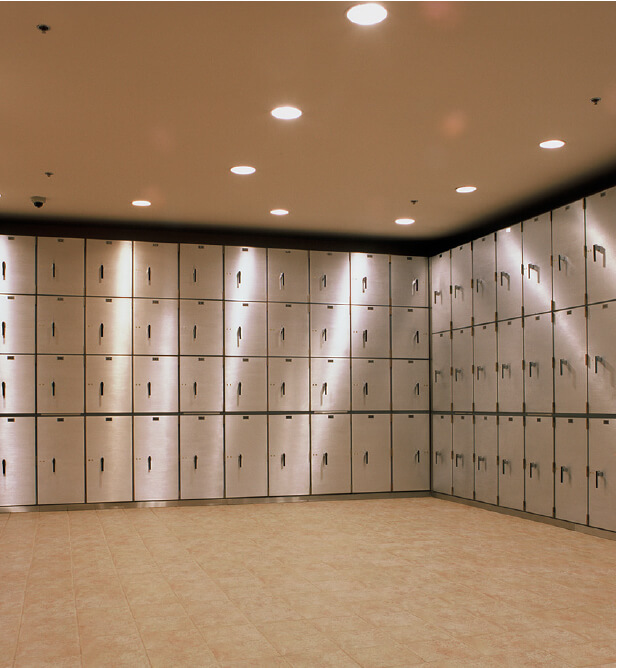 Our large array of safety deposit boxes in many sizes can accommodate coins, important papers, jewelry, heirlooms, and other valuable items that deserve special protection. Access is available anytime - 365 days a year, 24 hours a day - by simply calling ahead. Access after regular hours requires an additional fee. "Swiss-Type Accounts" also available for complete anonymity. At Elmwood Self Storage & Wine Cellar in New Orleans, we understand the importance of keeping your valuable gun collections safe. The vault storage and gun cabinets in Harahan's Elmwood Self Storage facility serve a dual purpose. In addition to a limited number of very exclusive custom-made gun cabinets, our gun storage area also houses safe deposit boxes, all located behind a $10,000 stainless steel bank vault door. It takes multiple steps to open this door, just like in a bank. It is locked up at night and even has a day gate. 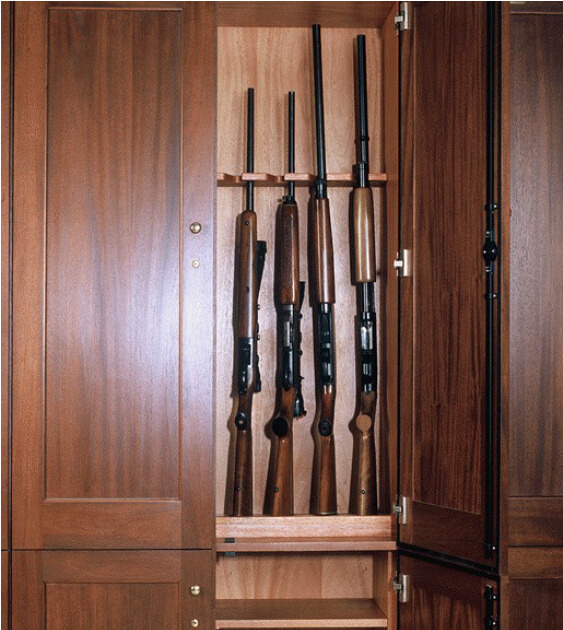 Our individual, locking gun cabinets can accommodate any collection of rifles and pistols. The 10 mahogany gun cabinets, custom built for serious collectors who want high-security storage, include a top section for rifles and a lower section for pistols. Our biometrics access panel, climate-controlled environment, and state-of-the-art security system with motion detectors and digital cameras will give you that extra peace of mind. Like the wine cellar, goods in this area are protected by both keypad access and biometric scanning; customers also have 24-hour access* to this area by paying an after-hours access fee. *Access is available (to customers who pay an after-hours access fee) anytime 365 days a year, 24 hours a day by simply calling ahead and making an appointment.